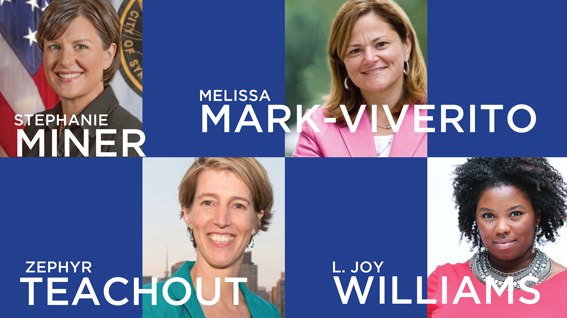 In New York, women have been excluded from the highest levels of state government. On May 1st, in the Great Hall where feminism was born, four women confront this power structure in free, public conversation. Stephanie Miner, former Mayor of Syracuse, Zephyr Teachout, Associate Professor of Law at Fordham University School of Law, Melissa Mark-Viverito, Senior Advisor of the Latino Victory Fund and former Speaker of the NYC Council and L. Joy Williams, political strategist, President of the Brooklyn NAACP and creator and host of Sunday Civics shed light on the opacity of Albany and spark transparent inclusive solutions. The panel will be moderated by Gloria Pazmino of POLITICO NY. Tickets are free but reservations are requested here.